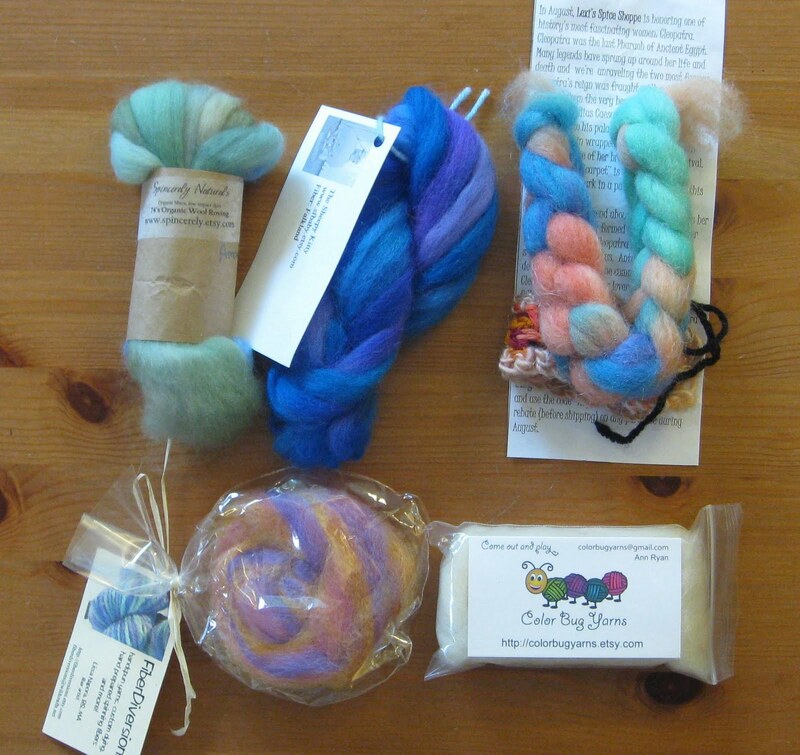 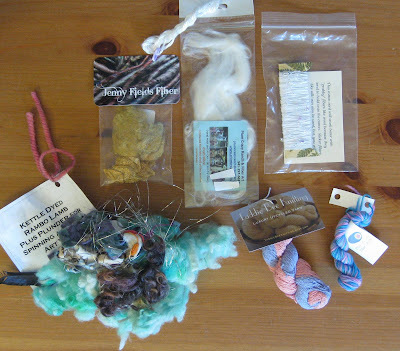 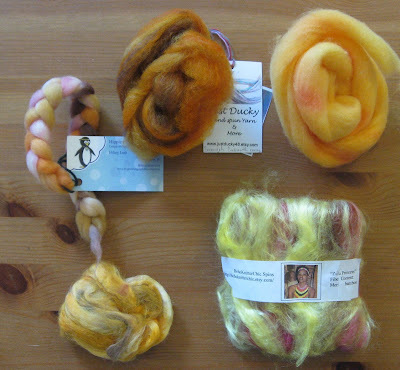 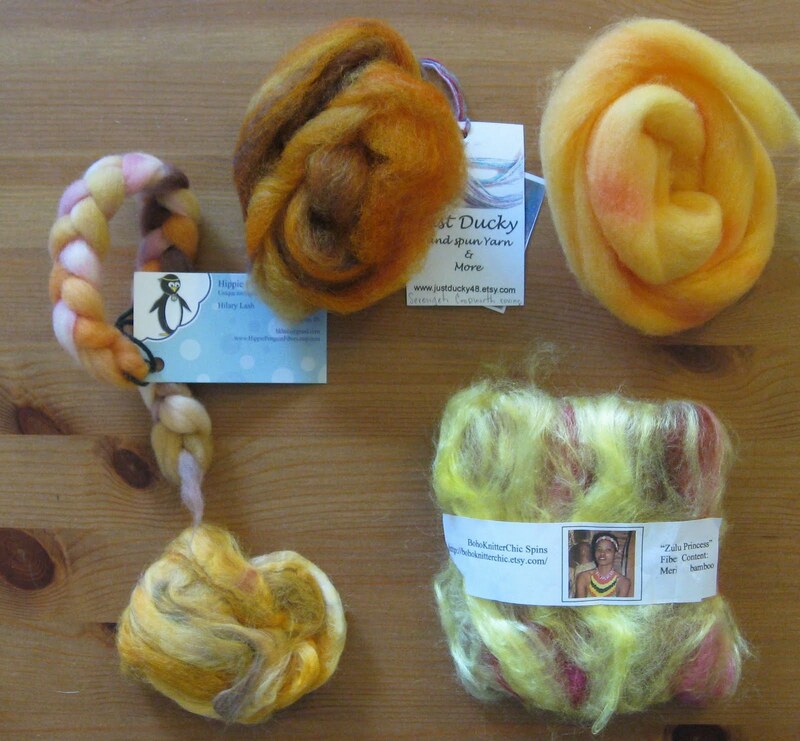 I've received my August Phat Fiber box and as usual, it is a beautiful sampler of fun fibers. 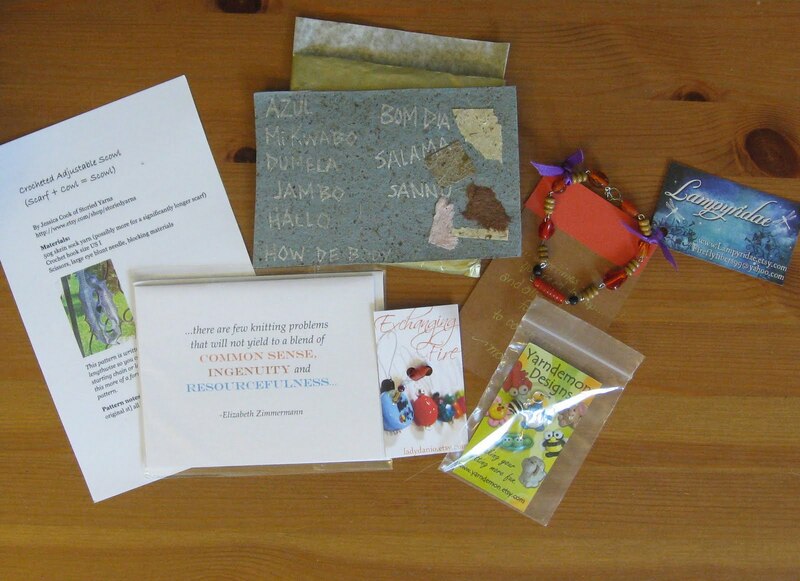 So many coupons, a EZ note card, beautiful bracelet, zebra sphere stitch marker and dainty beaded stitch marker. If you see your stuff, feel free to give your shop a shout out and linkie in the comments!